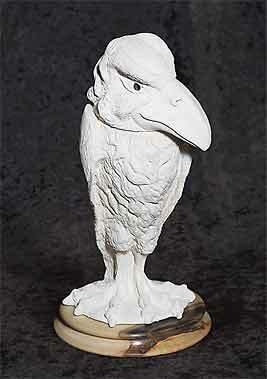 Unglazed Wally bird - 13" (330 mm) high. There has been much interest in Ben Sharp's Wally birds, so we thought you might like to see one before it has been glazed. The wooden bases that Ben uses for these birds are produced for him locally, and are made from wood recycled from old groynes.